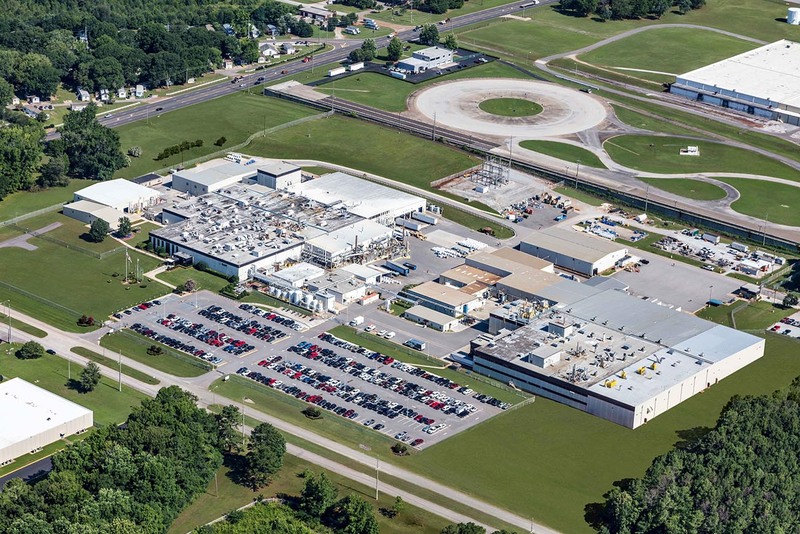 BASF announced the completion of an investment to expand production of its mobile emissions catalysts manufacturing site in Huntsville, Alabama. The Huntsville site expansion began 18 months ago and created ten additional jobs. The expansion also enables BASF to continue creating emission control technologies for cleaner air while simultaneously helping the automotive industry grow. BASF held a press briefing to announce the completion of the expansion and to recognize and celebrate a first-ever manufacturing milestone for the site: the production of the 400 millionth automotive catalytic converter. Among those who attended the press briefing and celebration were elected officials, members of the Department of Commerce and a key customer of BASF’s Catalysts division. The journey to 400 million catalysts began in 1973 when the automotive catalytic converter was first developed. The first catalytic converter was mass produced and featured in a 1975 automobile, and since its inception has eliminated more than 95% of harmful emissions from gasoline-engine exhaust. There are currently more than half a billion cars on the roads worldwide, and nearly 200 million trucks, and the automotive catalyst is incorporated into nearly every vehicle. The Huntsville facility also celebrated a milestone in sustainability by significantly reducing production waste and achieving a Virtually Zero Waste Facility certification. To qualify for this significant manufacturing achievement, facilities must meet a strict set of criteria; one of the most notable guidelines is full transparency about the amount of waste diverted from landfills and sent for incineration with energy recovery. The Virtually Zero Waste Facility certification was created by the world’s largest safety certification company, UL (Underwriters Laboratories), and is a prominent title awarded for facilities that responsibly and innovatively reduce waste.